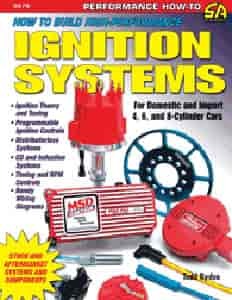 This book explains how ignition works, lists the latest system upgrades (e.g. distributorless and coil-per-cylinder), and suggests proper parts to meet your vehicle's performance needs. Author Todd Ryden guides you through various components, describing how they work together and theories behind their operation to achieve the ultimate goal of efficient combustion. Get the inside scoop on new coils, wires, spark plugs, rev limiters, distributors, magnetos, etc. for street and race applications.